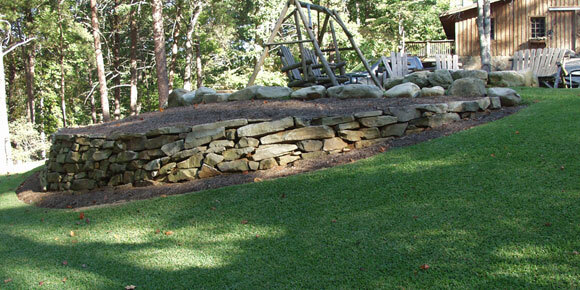 Retaining walls can be used as a design element or a structural element of your landscaping. Using a retaining wall to level sloping land gives you space for plants, trees and gardens. Properly designed walls have increased property values by as much as 15% as they provide access to additional outdoor spaces where land would otherwise be unusable.